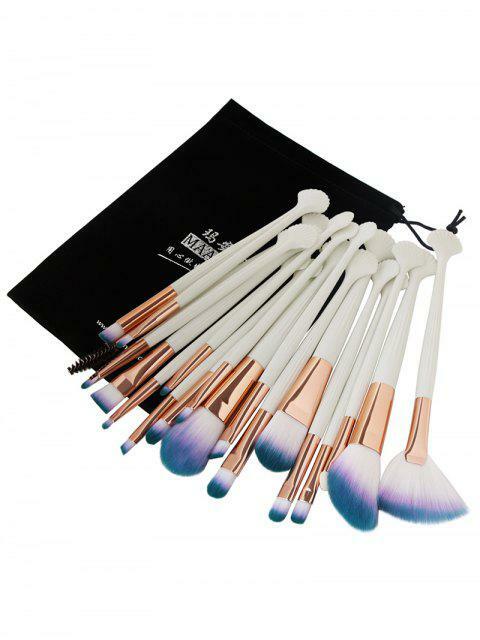 [31% OFF] 2019 20Pcs Ultra Soft Fiber Hair Eye Makeup Brush Set In WHITE+COFFEE | ZAFUL ..
Muy buenas brochas de un tamaño mediano, buen material y excelentes para viajar con ellas ya que son delgadas, ligeras y traen su bolsa, ademas son 20 piezas. I haven’t used these brushes yet, but they are softer than I thought they would be. They’re good quality, look pretty and I can’t wait to use them! Super soft bristles and nice shell/mermaid tail at the end of handle. Nice carrying case for them too! I got the black ones and my daughter chose the coffee ones (cream handles with white, purple and blue tipped bristles). Great quality for such a low price!